We were in San Antonio this past weekend, so I did not have much time to prepare a full-fledged barbecue spread. San Antonio was a fun close getaway with the family and as usual we had a great meal at Dough Pizzeria Napolitana (might be one of the best of it’s kind in the country) and way too much ice cream at Justin’s and Amy’s. 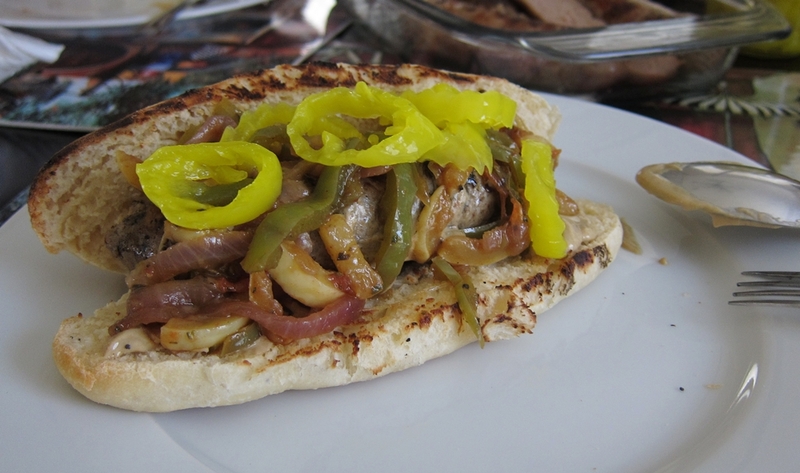 Anyways, back at home by Monday Labor Day, what I did have is some good homemade sausage. So I took out a pack of Bratwurst and the last couple of Bockwurst packs I had. Both sausages are made with a mixture of pork and veal. They also both include dairy and eggs. The Bockwurst includes more onions and more pepper, the brats have a more uniform emulsified texture not unlike that of a hot dog. The Bockwurst were cooked (poached) before freezing so they needed nothing more than grilling to heat up and crisp the casing. 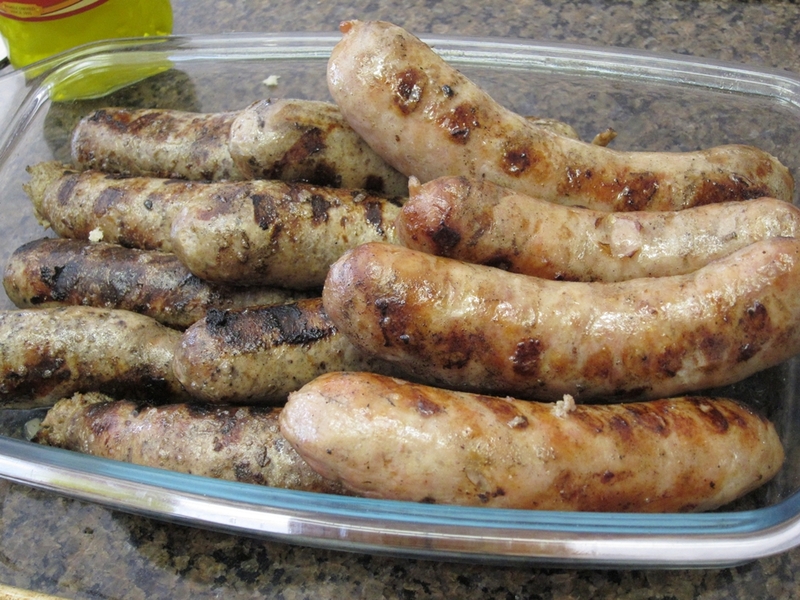 The brats were raw, so they were cooked sous vide at 61 C for about an hour before grilling and crisping. 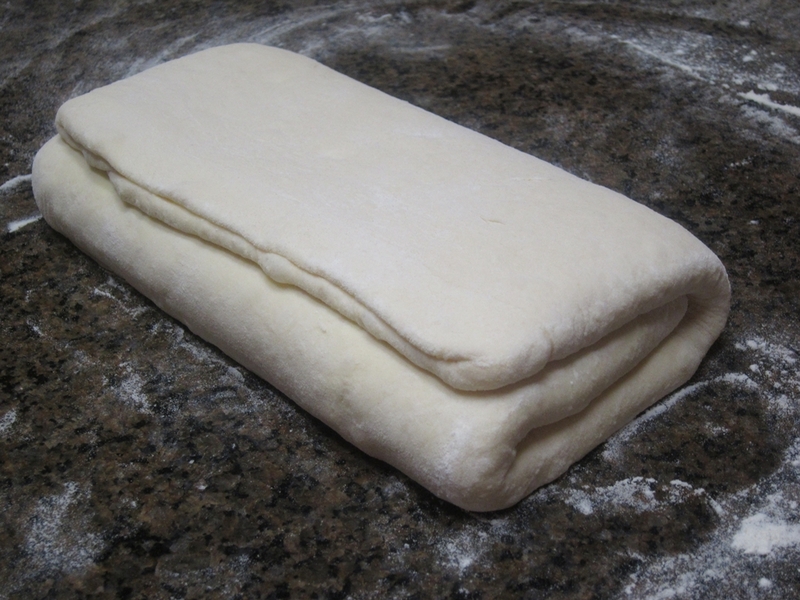 I did go through the trouble of making some proper buns that will stand up to the wieners and not fall apart. 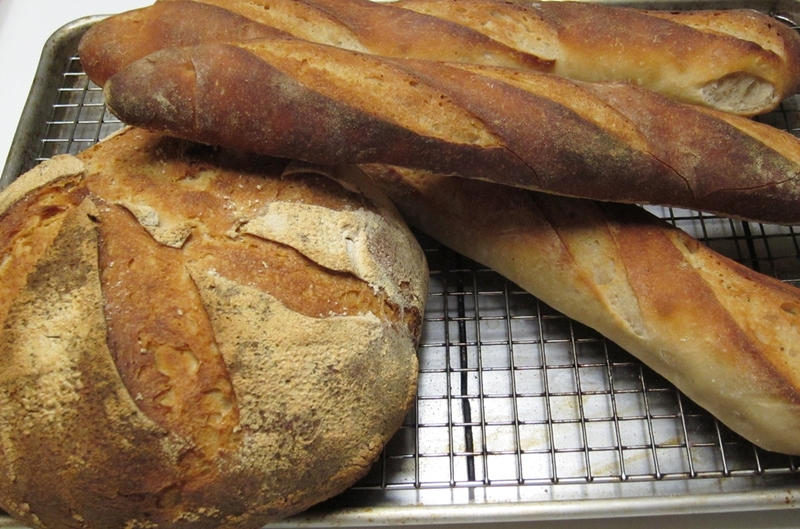 I used a recipe from The Bread Baker’s Apprentice by Peter Reinhart. 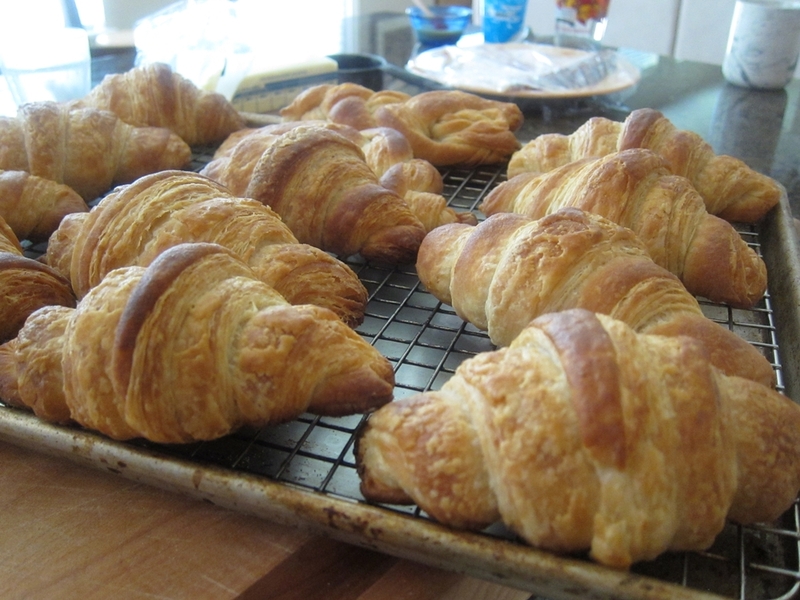 A few of these were topped with poppy seeds and the rest baked plain. The buns turned out perfect for the substantial sausages. To serve them, I made a some sautéed onions, peppers, zucchini and tomatoes. Other accompaniments included a few different mustards and some pickled pepperoncini peppers. That was such a fantastic meal for so little work. I’ve been exploring Sous Vide cooking using my Immersion Circulator often with excellent results. 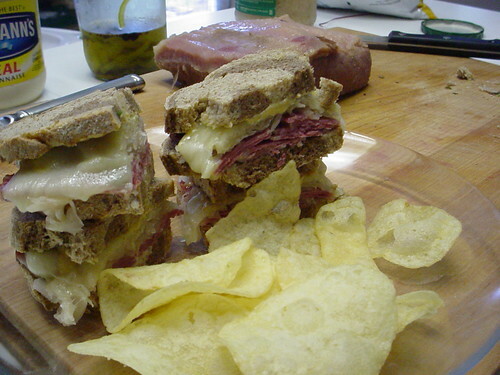 Deli-type meats seem like a no brainer for this cooking method, in this case for corned beef. To prepare the beef, I used a good even piece of brisket (even thickness matters a lot for this method) and trimmed most of the fat off it. Then I brined it using Michael Ruhlman’s Charcuterie recipe. He used salt, sugar, Cure #1 (a tiny bit gives it the pink color and the cured flavor) and pickling spice (bay, cloves, allspice and black pepper among others). 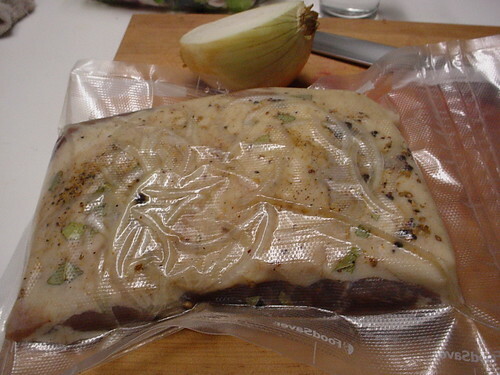 After a few days, the now corned beef went in a Foodsaver bag along with some more pickling spice and a sliced onion. It cooked for about 8 hours at 170 F in the water bath and then I quickly chilled it in a bowl filled with water and ice. It then sat in the fridge for a few days until I was ready to serve it. My main concern here was salt content. 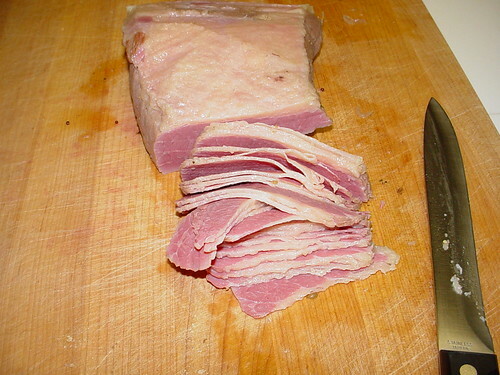 I figured normally corned beef is boiled so some of it’s salt will leach out and the meat ends up well seasoned but not salty. In this case, the meat is vacuum pakced throughout and the salt has nowhere to go. For service I reheated the beef in some hot water and removed it from the bag. I sliced and tasted a piece. Excellent flavor, definitly not too salty. On the other hand I think it should be a touch more tender. I’m thinking next time I’ll cook it around 175 for closer to 10 hours. For dinner I made sandwiches of course. Homemade marble rye, saurkraut and melted Swiss cheese. I was about to lable this post something stupid like “Healthy Pizza” and then thought better of it. Properly made pizza with a lean, slow fermented dough, formed into a thin crust, sparingly topped with pizza sauce, cheese and little else is a thing of beauty. And yes, it is also healthy, good for you (provided you don’t eat a family sized pie!) and a far cry from the greasy cardboard crusted disgraces that big chains home-deliver as pizza. 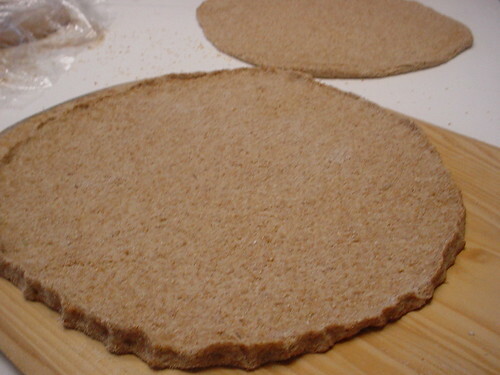 I still wish I could come up with a slightly wittier title than Whole Wheat Pizza. Oh well, it is what it is I guess. I’ve been wanting to give this pizza dough recipe a shot ever since I got Peter Reinhart’s “Whole Grain Breads” book since every other recipe I’ve tried has been wonderful. 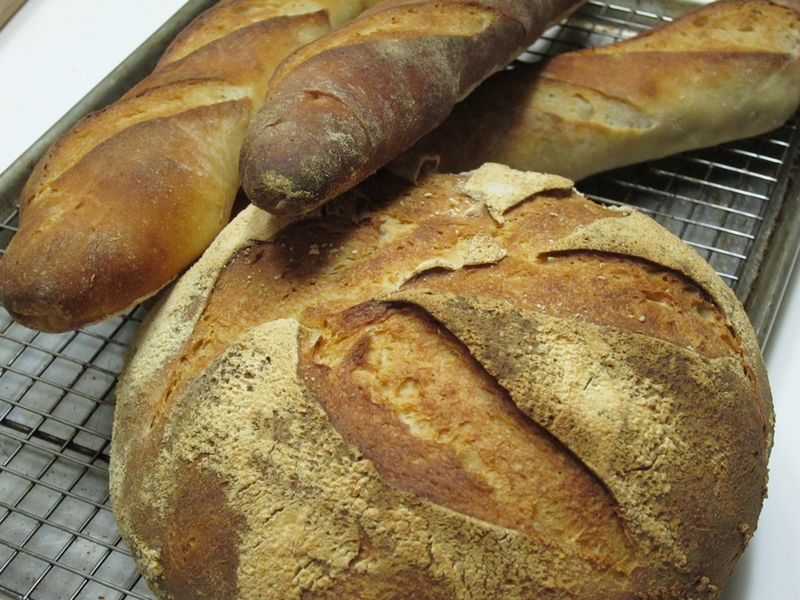 He uses his original method that combines a refrigerated biga starter (whole wheat flour, yeast and water) and a “soaker” (whole wheat flour, water and salt). 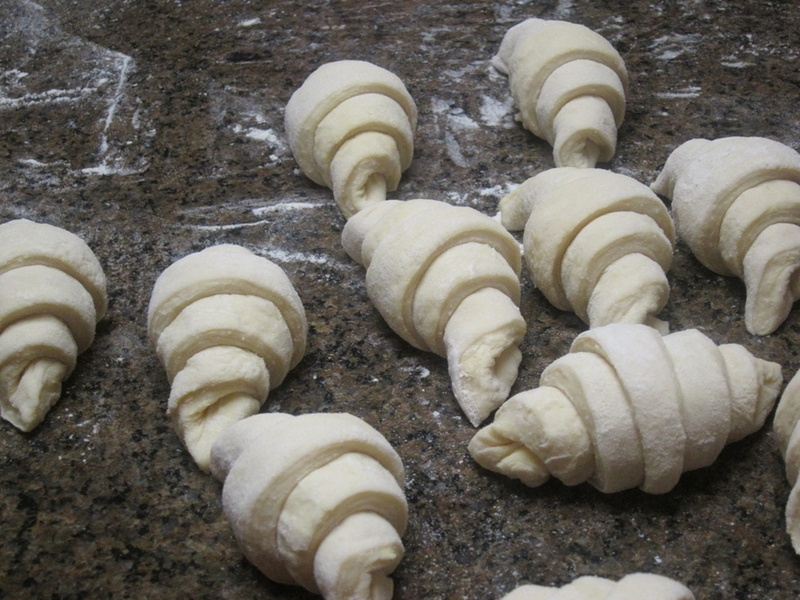 No white flour is used at all and through the magic of enzymes, yeasts and long slow fermentation we end up with a perfect and flavorful dough. I like mine with an egg in the center. Served it with a very good Lebanese Pinot Noir. 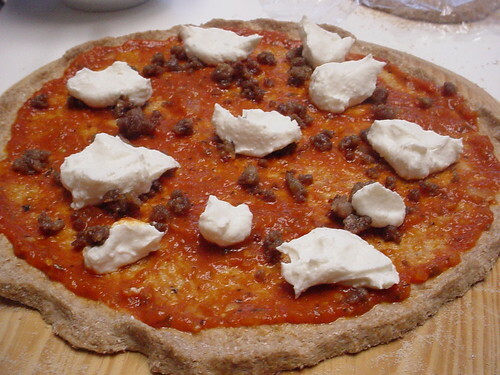 Toppings included cooked tomato sauce, mozzarella, crumbled sausage and homemade ricotta cheese. 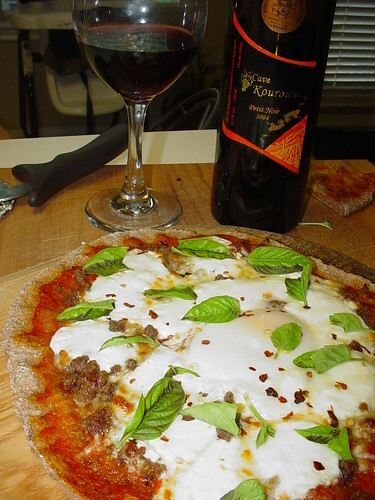 It was delicious but certainly not “just like” a pizza made with white flour dough. 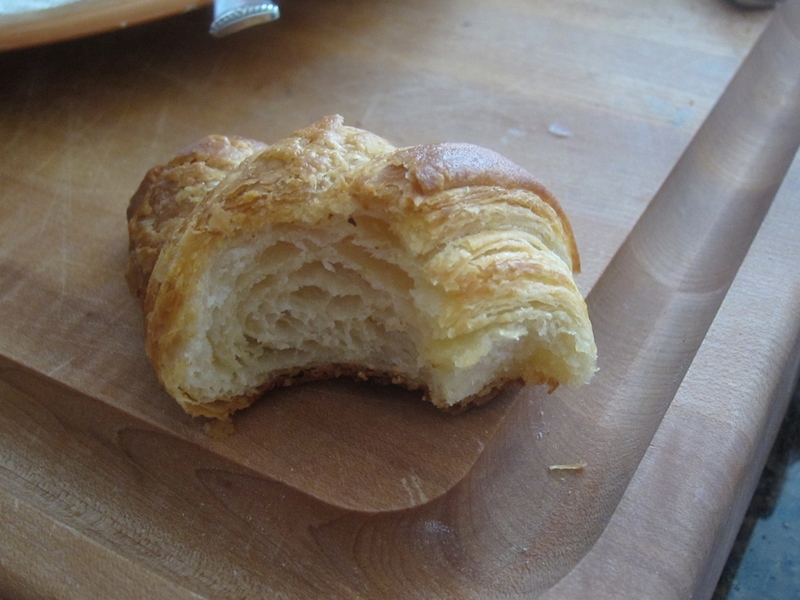 It had a more robust flavor and was light, crispy and chewy. The real test was the kids. 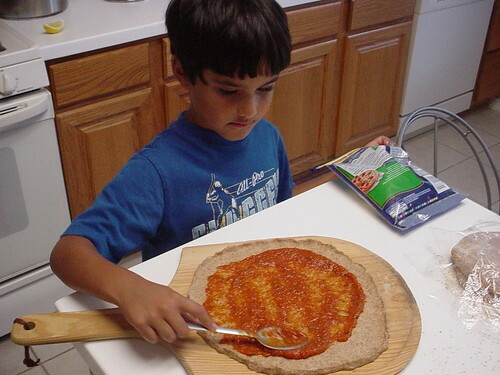 I try to give them foods high in fiber whenever possible and this pizza was a big hit with them. A win-win situation really. I love these relaxed long baking projects, especially ones that make the time invested (albeit very little actual effort) worthwhile. 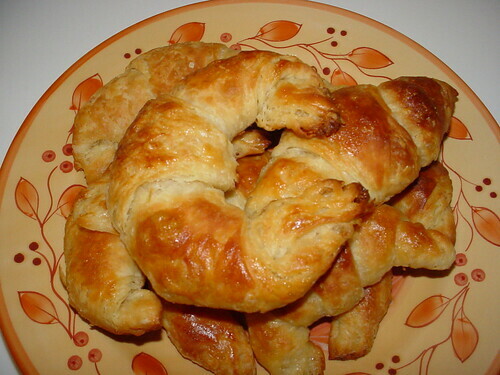 Recently I stumbled on this wonderful recipe from TheFreshLoaf.com. 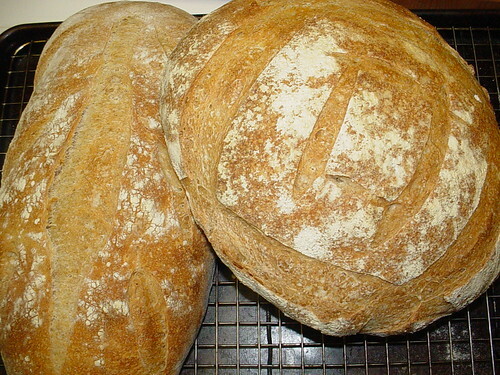 The Fresh Loaf is a very cool forum for bakers and baking from all over the worId. 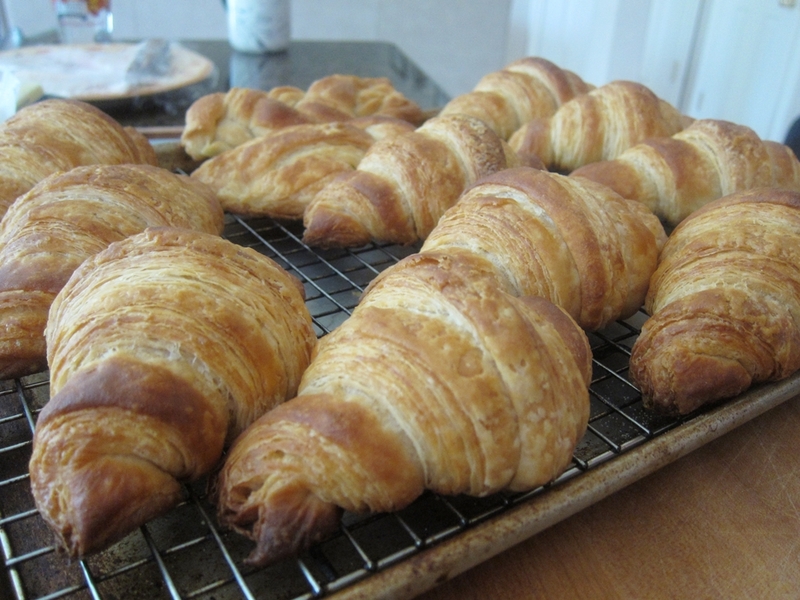 If you are interested in baking, check it out. 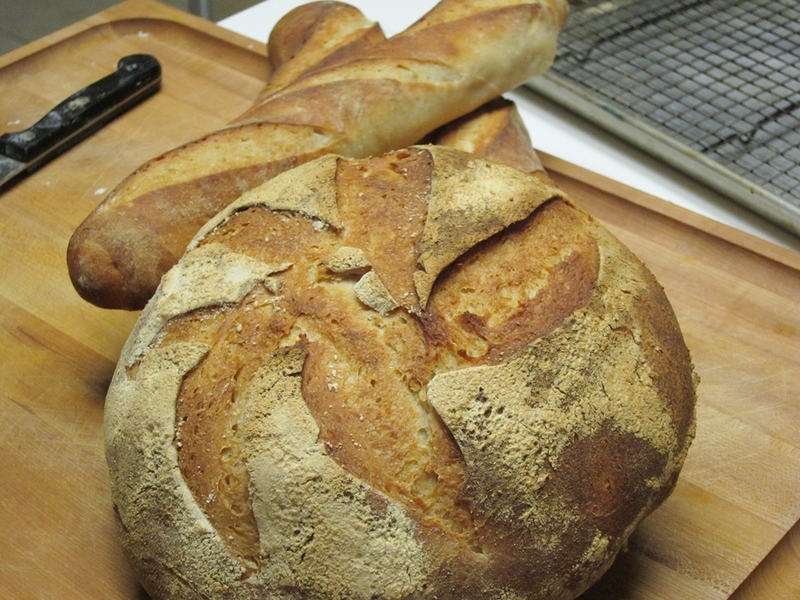 I was so happy with the large loaves it produced, I had to share a picture and a post.